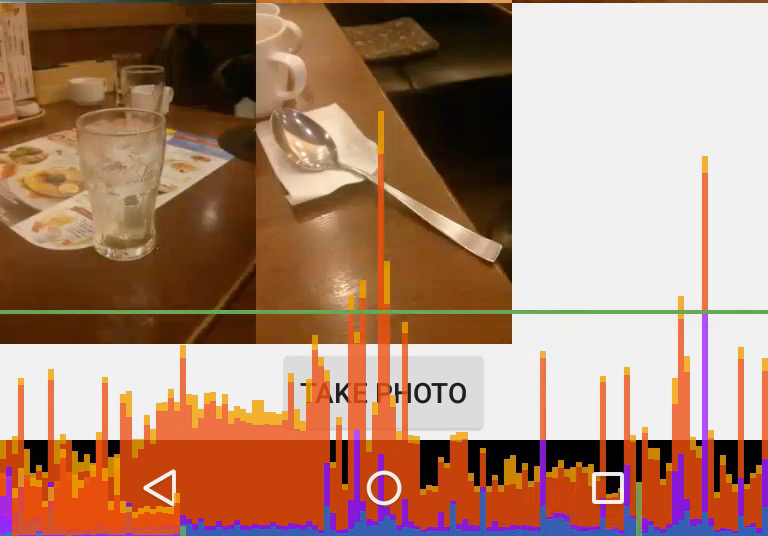 In this review we spend time profiling android picasso loader library using the traceview, memory monitor & GPU render profiling tools. 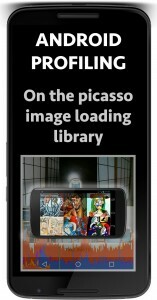 Running android performance profiling tests on an recyclerview grid gallery using picasso image loading library. Here we observe three background threads all running at the same time resulting in much quicker image loading. Also note the lack of significant spaces in the main ui thread which translates into a good performance. Starts at consuming in the region of 16 MB, then after scrolling reaches a max in the region of 50 MB. After triggering a garbage collection (GC) the memory consumed drops down to 34 MB. 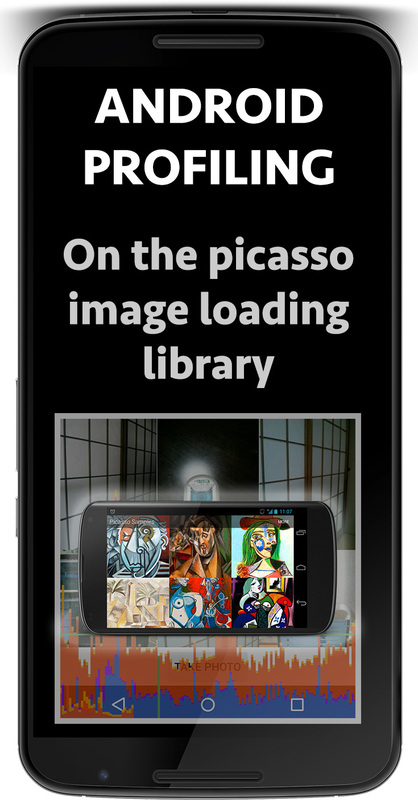 Running android device’s GPU rendering tool on an recyclerview grid gallery using picasso image loading library. The key point to note here is the green horizontal line which represents 16 ms. Any frames that are higher than the horizontal green line can result in application jitter. Good results here with minimal frames over the green horizontal line.